Our sister organization Central Oregon GeoScience Society (COGS) is inviting GSOC members as their guests on their field trip to "Lave Butte and Lava Lands Visitor Center." This trip is for COGS and GSOC members only. 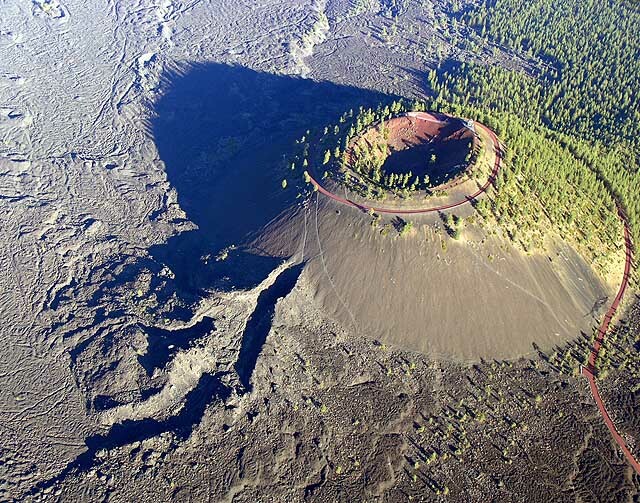 Lava Butte is a 7,000 year old cinder cone located on the flanks of Newberry Volcano. It is the northernmost vent along the Holocene northwest rift zone, a nearly continuous zone of mafic vents and lava flows that extends about 20 miles from the north wall of Newberry Caldera.